The entire thrust of Ross Douthat’s book was, as I suggested, a nostalgia for an Americanism that never was. Douthat is concerned that I mention his encomia to Michael Novak without his criticisms, especially his chastising of Novak for his fawning comments about Kenneth Lay of Enron fame. Of course, the problem with Mr. Lay was not that he abused capitalism, and the problem with Novak, the theological problem, is not that he champions ethical behavior by capitalists. The problem with capitalism, the theological problem with capitalism, is in its DNA, as Cardinal Oscar Rodriguez once said. Neither Novak, nor Douthat, and obviously not Mr. Lay, would agree. So, maybe Douthat has not drunk as much Kool-Aid as Novak—who has? But, his book seems painfully unwilling to challenge certain heresies at their roots. All three (Novak, George Weigel, and Douthat) misunderstand the Second Vatican Council and ignore the Communio theology that sprung from it. All three reduce religion to ethics. All three, eager to build a political alliance between conservative Catholics and conservative Evangelicals, neglect to examine the ways the Reformation spawned the problems they decry. Most especially, all three propose a reading of history that does not bear scrutiny, failing to recognize that the robust orthodoxy of the 1950s they celebrate must not have been that robust if it could be swept away within a generation. Even here, in this reply, Douthat displays his lack of basic knowledge. He writes: “I do not blame Humani Generis for silencing John Courtney Murray; I merely cite both the encyclical and his silencing as examples of pushback against liberalizing tendencies in the Church.” He might be interested to know that Humani Generis was directed at Henri de Lubac and other ressourcement theologians. If Douthat wishes to consider de Lubac a liberal, he is the first to do so. It is astonishing to me that in a book dedicated to exposing silly heresies in our day, Douthat fails to recognize his complicity with his neoconservative comrades. One may prefer his tea with cream, another with sugar, and third with neither. Reading any of them makes me yearn for coffee. Michael Sean Winters’s original review can be read here. 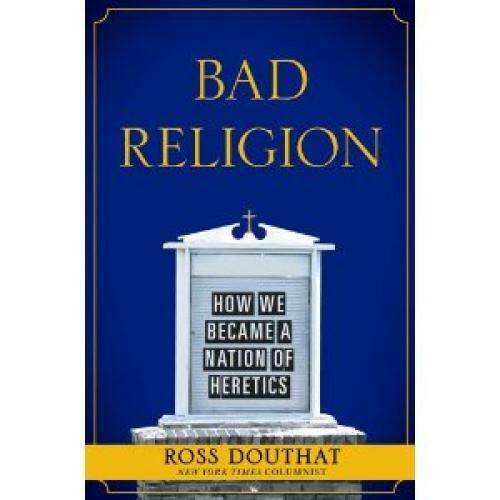 Ross Douthat’s response to the review can be read here.